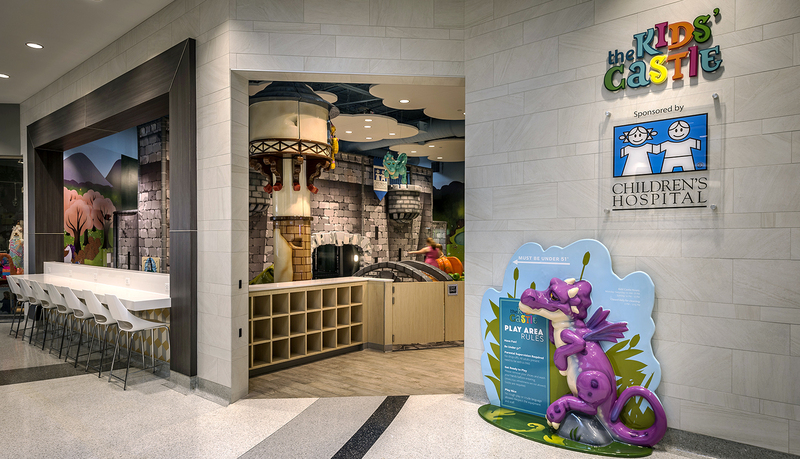 The parenting Center at Children’s Hospital and the Family Birthing Center at Touro Hospital teamed up with Lakeside Shopping Center in Metairie, Louisiana, to provide a kids’ play space and nursing rooms at the shopping center. 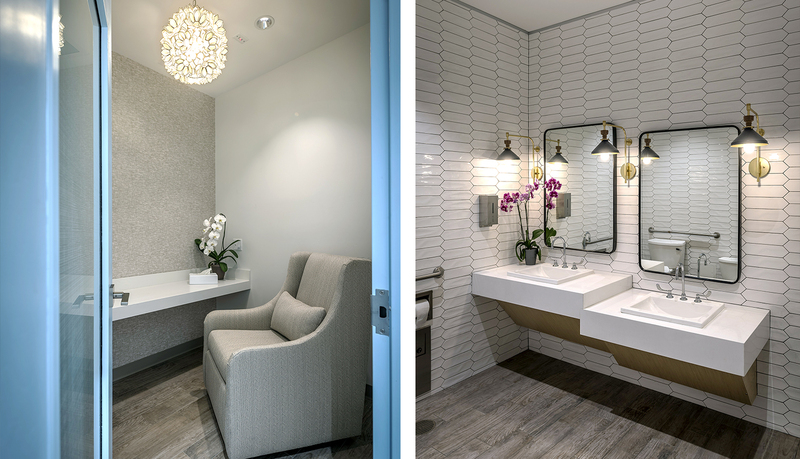 The objective of the parties was to design a unified, whimsical look for a children’s play area, a family restroom and nursing rooms. 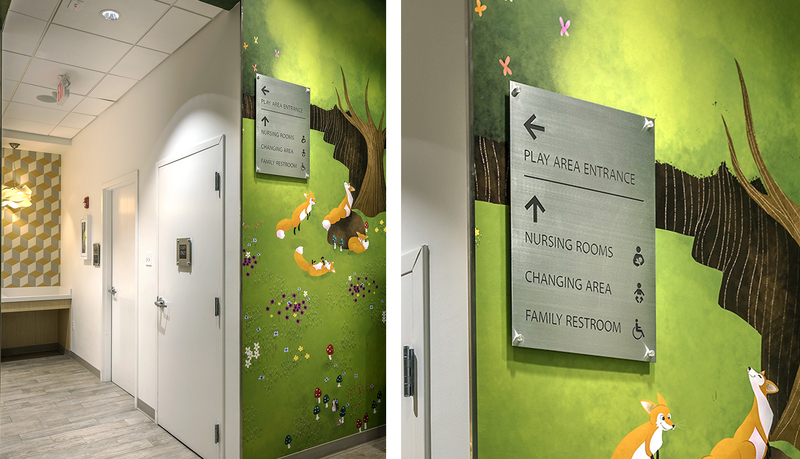 It was also important to identify Children’s Hospital Parenting Center and the Family Birthing Center at Touro as sponsors of the initiative. 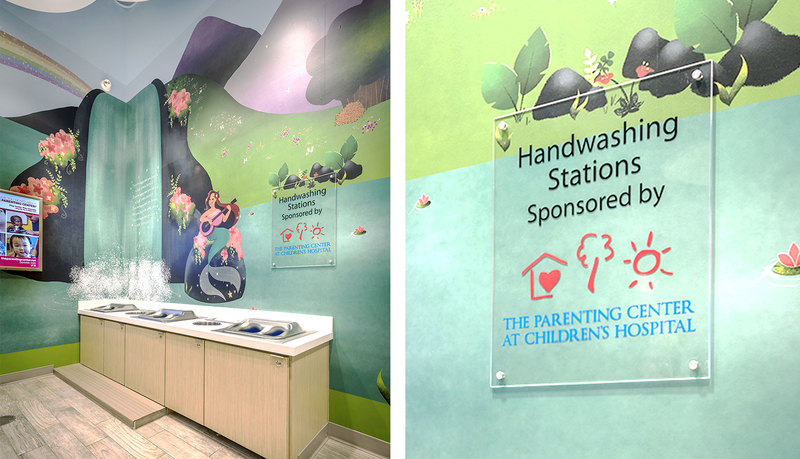 To recognize Children’s Hospital Parenting Center, logo signage is displayed beneath the entrance signage and, likewise, sponsor recognition signage for the Family Birthing Center at Touro is displayed at the entrance to the nursing rooms. 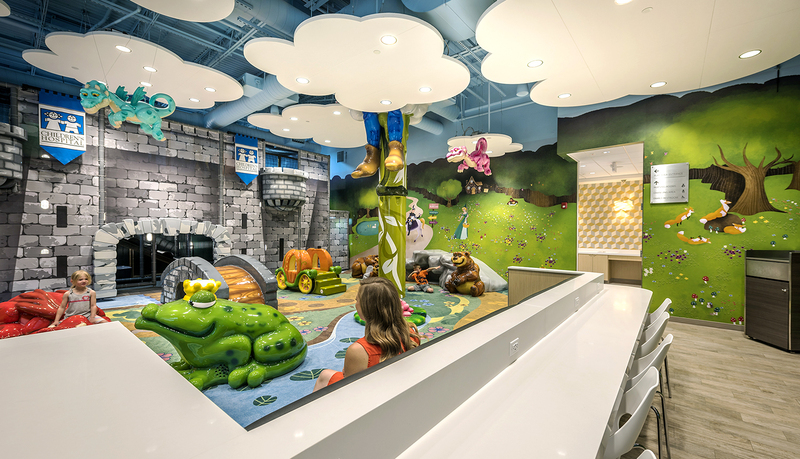 “The Kids’ Castle” features amenities typical of a mall play space, including parent dining counters with charging stations, a hand-washing station, baby-changing counters, a family restroom, and three nursing rooms. 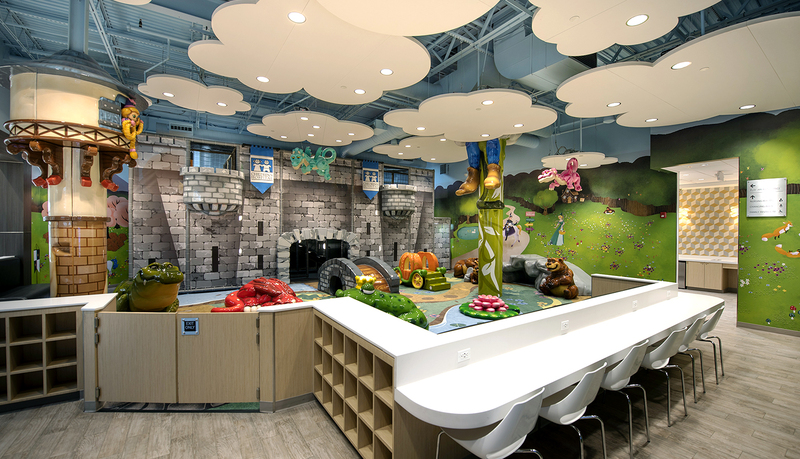 The unique play area features a modern twist on a fairy-tale theme, with play elements including dragons, a frog prince, a Jack and the Beanstalk theme, a castle that kids can climb through, and a Louisiana alligator. 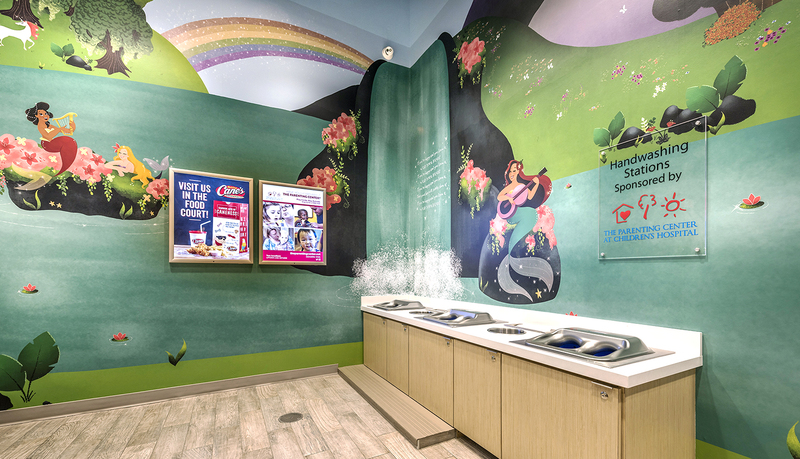 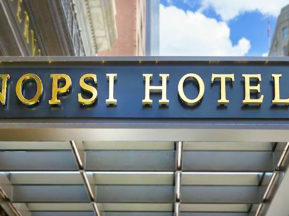 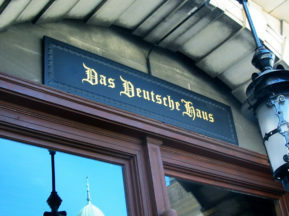 ASI Digital-Series Print was used for the themed wall graphics. 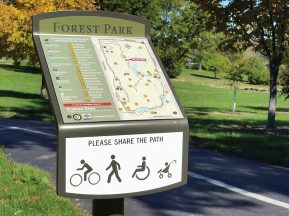 The graphics and signage needed to be child-friendly, focusing on safety and durability, as the environment is a very high-traffic area. 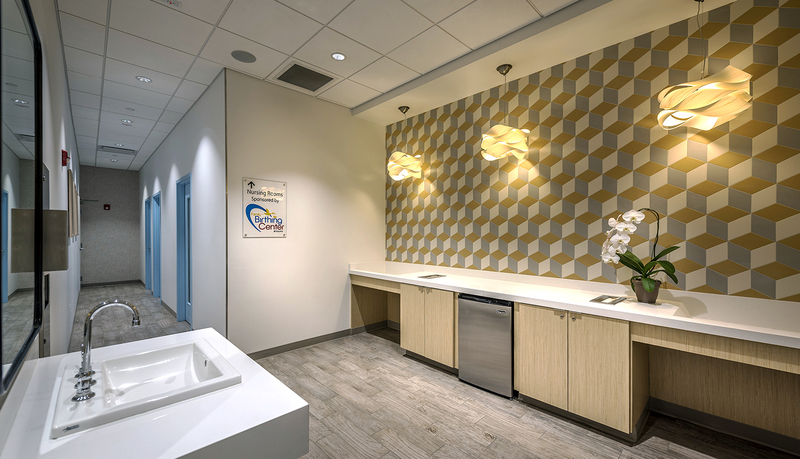 Accordingly, vinyl selection was based on an adhesion test, performed onsite after the painted walls had cured. 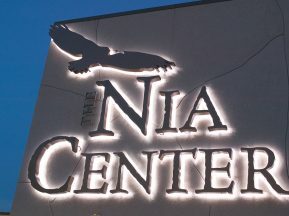 The wall wrap installation had to occur before the shopping mall opened. 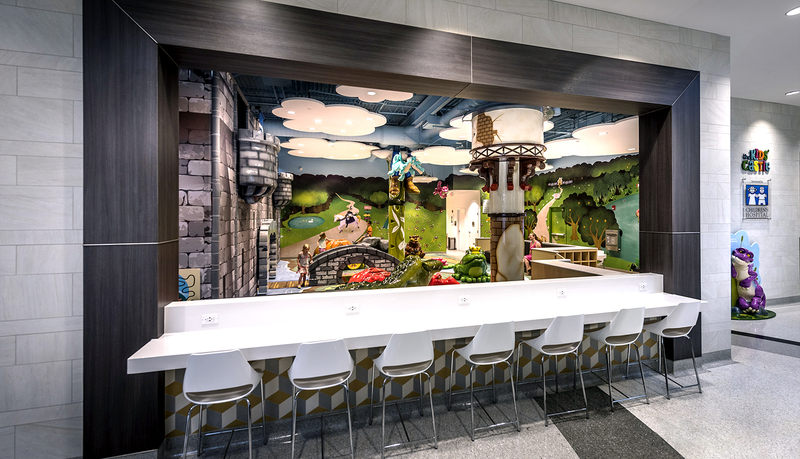 “The Kids’ Castle” logo was fabricated out of ASI Custom-Series Acrylic and other signs were ASI SPE Series with second-surface digital and vinyl graphics.